This is an updated unit and is 1 of only 6 that is over 252 square feet larger than half the other unit. 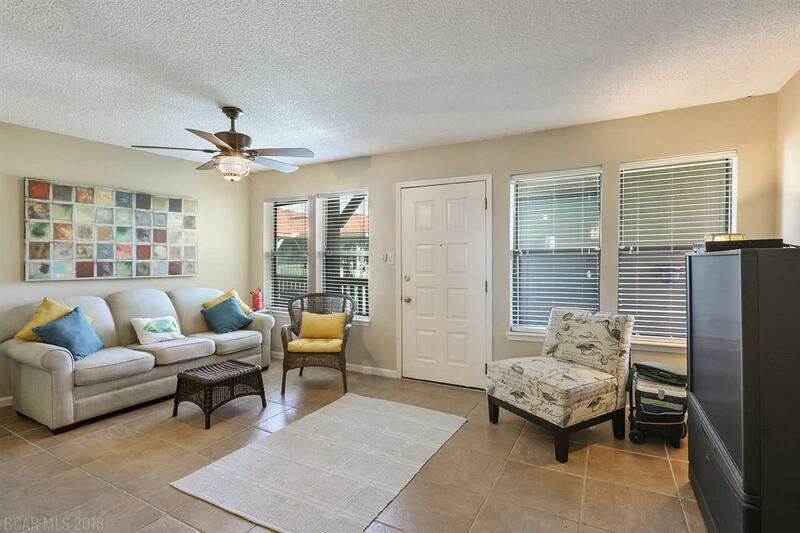 This unit sleeps 6 comfortably, without having to use the couch! The master bedroom offers a Queen bed (with under bed drawers/storage), a full dresser, a nightstand, and a private bathroom with walk-in shower. The 2nd bedroom offers a stacked bunk bed with a single top bunk, a full middle bunk, and a single trundle. The 2nd bathroom has a bathtub/shower combination. 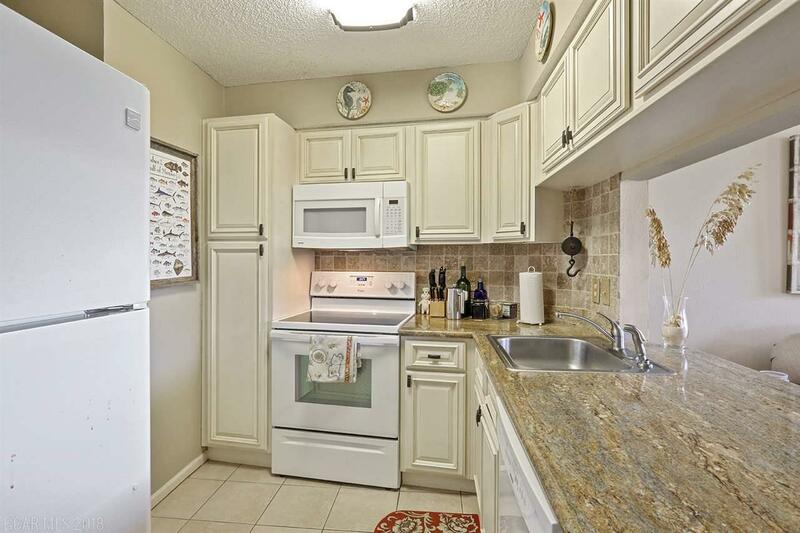 Furnishings include a stacked washer and dryer is conveniently located inside the condo. 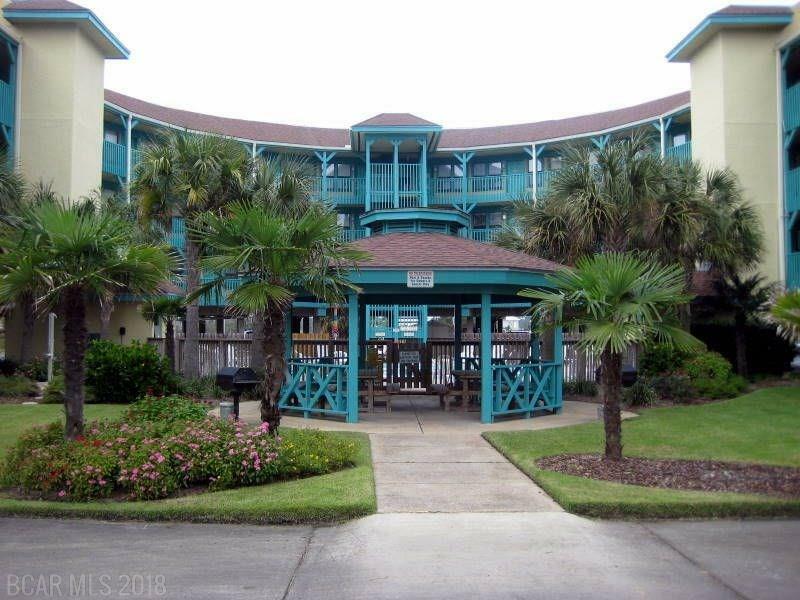 Seabreeze Condominiums has been a landmark in Gulf Shores since introducing it's unique horseshoe design. This great low density complex offers a community feeling with amenities that include: deeded beach access, gazebo with BBQ grills, pool and 2 elevators. This complex has very convenient access to the elevator! 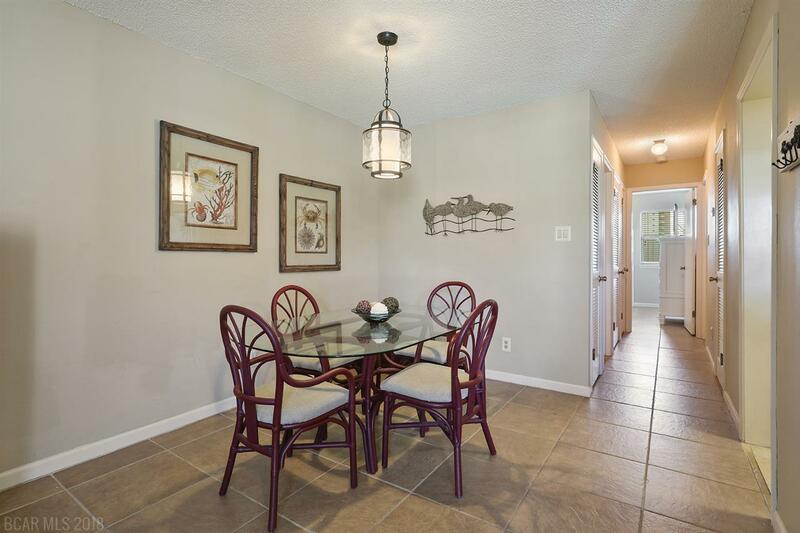 Walking distance to shopping, restaurants, The HANGOUT, and Festivals.